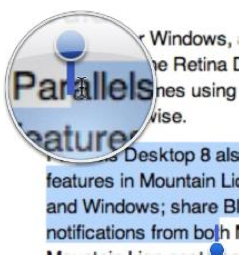 How to Copy and Paste text and images with Parallels Access? How to Copy and Paste text and images? Emulate Right Mouse click using either double tap or on-screen toolbar and then select Copy action. The same applies to Paste operation - emulate Right Mouse click and select Paste operation.